We have 23 years’ experience of delivering innovative and successful Employee Volunteering programmes working with clients such as Deloitte, National Grid, Deutsche Bank, The Discovery Channel and QBE. Every year we place over 7,000 employees from 50 companies in more than 500 community settings. We stand out from our competitors through our ability to deliver locally as well as on a UK-wide basis. 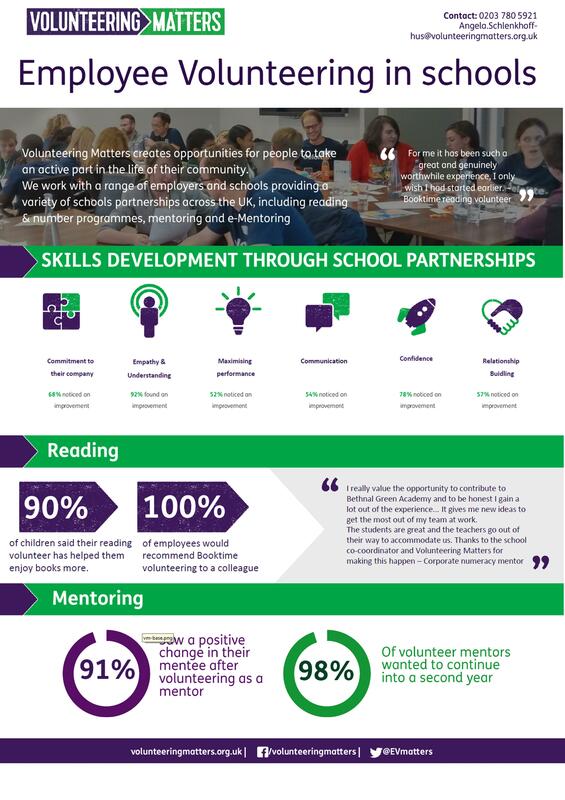 Here is some more information about our employee volunteering impact.